NBA Playoffs: Series tied 2-2… what happens in Game 5 (and the series)? Sports Stats ‘on Tapp’ is a sports statistics blog published daily that focuses on stats that go beyond the numbers. Last night the Oklahoma City Thunder defeated the San Antonio Spurs 109-103 and tied their Western Conference Finals series at 2-2. So here’s the big question, what’s gonna happen in Game 5 of that series on Monday night? * The home team won Game 5 in 20 of those 25 contests. * The series ended with the Game 5 winner also winning Game 6 in 14 series. * The series went to a Game Seven 11 times. The home team won Game 7 in nine of those 11 games. * The team that won Game 5 also won Game 7 seven times. NBA Finals, 2010, L.A. Lakers over the Boston Celtics: In the 2-3-2 finals format, the home team Celtics won Game 5. The series then shifted to Los Angeles for Game 6 and Game 7 where the Lakers won both contests. Eastern Conference Semifinals, 2010, Boston Celtics over the Cleveland Cavaliers: Tied at two games apiece, the visiting Celtics clobbered the Cavs 120-88 in Game 5 in Cleveland. The Celtics then wrapped the series in Game 6 with a 94-85 victory. Eastern Conference First Round, 2010, Atlanta Hawks over the Milwaukee Bucks: The Bucks stole Game 5 in Atlanta with a 91-87 win and headed home for Game 6 hoping to close out the series. The Bucks lost Game 6 to the visiting Hawks 83-69. The Hawks won the series with a 21-point win at home in Game 7. Eastern Conference Semifinals, 2009, Orlando Magic over the Boston Celtics: The home team Celtics won Game 5 then lost Game 6 in Orlando and lost the series when they could not close out the Magic at home. The Magic won 101-82 in Game 7 in Boston. Western Conference Semifinals, 2008, San Antonio over the New Orleans Hornets: The Hornets defeated the Spurs at home in Game 5, but the Spurs won the series by winning Game 6 at home, 99-80 and then winning 91-82 in New Orleans. 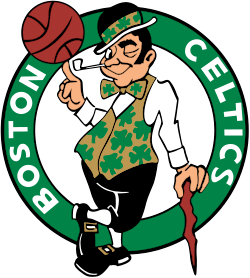 It appeared that the Boston Celtics had the Miami Heat right where they wanted them in Game 2 of their Eastern Conference Finals series… a 15-point lead in the second quarter, and a seven-point lead at halftime. But the Heat overcame the largest deficit in their playoff history and took the Celtics into overtime to secure a victory in Game Two and take a 2-0 lead in their Eastern Conference Finals series. Since 2003, there have been 106 conference finals games played. In 76 of those games the team that won either led at halftime or was tied for the lead at half, a .717 winning percentage. In the last three postseasons (2010-2012), there have been 26 conference finals games (through games of May 30, 2012). The winning team has led at half or were tied for the lead in 20 of those 26 games, a .769 winning percentage. Miami overcoming a seven-point deficit in yesterday’s game ranks as one of the best 11 halftime comebacks in the last 10 years in conference finals play. Topping the list are the Orlando Magic which overcame a 15-point halftime deficit in Game 1 of their Eastern Conference Final series against the Cleveland Cavaliers. Following are the teams that overcame the largest halftime deficits to win a Conference Final playoff game since 2003. Note: Thirty teams have lost conference finals games since 2003 after leading at halftime. Of the teams that lost those halftime leads in the conference finals, the San Antonio Spurs lost six games when they were leading at halftime. Following are the teams that lost the most conference finals games since 2003 when they had the lead at halftime. Did you know? In the 2010 conference finals (Boston vs. Orlando and the Lakers vs. Phoenix) the team that led at halftime won all six games in both series.